Are you a former pilot, navigator or aircrew member who performed military service with the Royal Air Force, Royal Navy or British Army? Are you resident in Scotland? Are you an aircrew veteran of World War II, Korean or Cold War, Suez Crisis, Falklands, Iraq or Afghanistan? If so, greetings, felicitations and friendship await if you choose to join with like minded people of similar experience yet spanning several generations and who have often shared the same feelings, doubts and fears. Their stories and yours are worthy of respect, trust, honesty, thankgiving and rememberance lasting beyond lifetimes and perhaps serving as a warning to others in the future. Sometimes it's just easier to talk with somebody who understands and can more readily sympathise, share a joke or enjoy your company while accepting the small part we have collectively played in the formation of the modern World and while trying to ensure that others may never face similar dilemmas and experiences. Our members (and the legacy left by former members no longer living) describe an era from the first days of aerial flight and application in war to the latest conflicts involving terrorists rather than armies. It's equally important to record peaceful use of military aircrew and this is reflected in the pages of this web site and where the reports range from deadly serious to mildly amusing and occasionally bizarre, like the Devonshire cow slung beneath a Whirlwind helicopter! In practice, members meet at convenient locations on a regular basis promoting mutual understanding, self-help, and friendship. Our membership includes many who have been through the process of switching from military to civilian careers. Their advice, based on sage and experience, is often deemed invaluable to members leaving military service! There have been three books published using the content of this web site! In the course of its existence, some mysteries have been solved and historical records altered to reflect what actually happened rather than conjecture. The fate of some, presumed missing for years, has been given a final and definite answer and where parts of a complex historical jigsaw has come together to reveal truth. 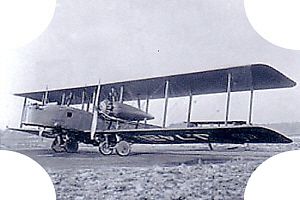 This website began as an independent branch venture of the Aircrew Association, an organisation set up soon after the conclusion of World War Two and existing to foster friendship among aircrew of British and Commonwealth countries with regular links to Australia, New Zealand, South Africa, India, Canada and more. In Scotland, branches were identified as Dumfries and Galloway, Tayside, Highland and Saltire with the latter existing in the central lowland area of Scotland. Bill Reid, VC, sought to expand the Saltire Branch by means of the Internet but sadly died just a few weeks before the new web site, this one, went online. In recent times, the Dumfries and Galloway branch has merged with Saltire an no longer exists as a separate entity. The Aircrew Association had 10,000 active members spread through 117 branches in Australia, Canada, Cyprus, Spain and the United Kingdom. 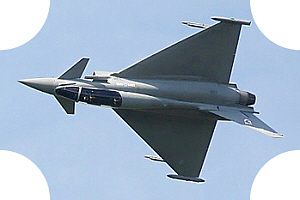 Despite this and due to the passage of time, it was decided that the International Aircrew Association would officially disband during a ceremony at St Clements-Danes cathedral in London on May 5th 2011. By that time, however, the aircrew-saltire.org website had amassed tomes of important first-hand witness accounts and where readership has included many from other countries and who have helped resolve mysteries by means of their own involvement and sometimes from an enemy perspective. Regular readers include prominent historians and teachers of many leading universities in the UK and elsewhere. Frankly, we've reached that Rubicon where the first-hand witness accounts of many people, no longer alive, remain as an important legacy and pointer towards both past and future. It was always in the best interests of all to ensure this web site was kept alive. In 2010, the Saltire Branch of the Aircrew Association decided to continue as an independent 'Scottish Saltire Aircrew Association' and in common with many other former branches of the ACA throughout the World. This current web site variant of the former one is a product of that decision and where all previous records, photographs and art have been retained in original form. The consequence of this is that readers will often see referance to 'ACA' or 'Saltire Branch' and most likely relating to submission of photographs, art or articles prior to May 5th 2011. Subsequent articles may carry the label of SSAA meaning 'Scottish Saltire Aircrew Association' and in reference to the newer independent status. 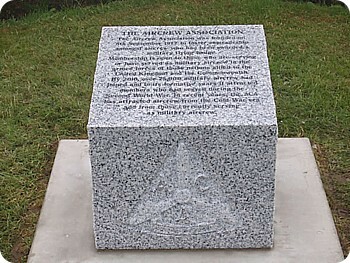 Before closing this important chapter of history, the former Aircrew Association has a memorial stone mounted within the National Arboretum at Alrewas in Staffs. The new independent group retains memories and objectives of that organisation.